Owning and growing an online business requires you to wear several hats. As an entrepreneur, you need to be able to make decisions about financial aspects of your business, about customer service, innovation, and product development; you also need to be able to decide how to handle your marketing and social media. Savvy entrepreneurs know that it helps to turn to the experts to create strategies and to make decisions. Leverage these 11 tips as you’re learning how to build a social media audience to grow your business and bottom line. A social media audience is an asset to your business. Create a visually appealing and well-branded page/profile. Before you can really expect anyone to follow you, you have to make sure your page and profile appeals to them. Your page should also have the same or similar look and feel that your website has in order to maintain consistency. Be active. Publish, share, and engage on a daily basis. There’s a lot of activity and competition for attention on social media. If you’re not present, then people won’t know about you and they won’t remember you. The more active you are, the more followers you’ll gain. Publish value-driven content. Strive to publish content that adds value. You can make people laugh, inspire them, inform them, or give them something they can use right away. Content that offers value will be liked, shared, and engaged with and in turn grow your social media audience. Share value-driven content. In addition to creating your own content, you can share content created by others. Steer clear of sharing your competition’s content. Instead, look for information and inspiration that is relevant to your audience. Create a variety of content. This may include images, videos, memes, quotes, how to’s, checklists, tips etc… Create a variety of content for your social media feed. You’ll attract a wider group of followers by providing a variety of fresh content. Test your content. Pay attention to the content that garners the biggest response. 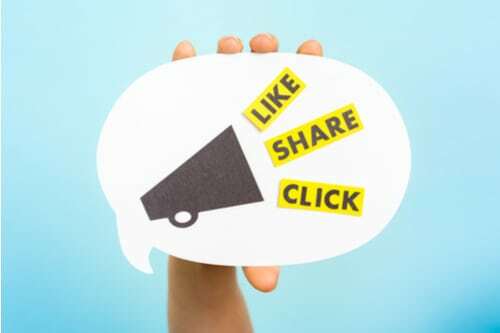 Look at engagement, follows, shares, likes, and so on. Test click-throughs when you include a link to your website and, when it’s relevant, test conversions. Engage. Comment on other feeds. Engage in the feeds of those that follow you. Continue conversations that begin on your own feed. Build relationships. Invite people to follow you. Invite your email subscribers and blog readers to connect with you on social media and make it easy for them to do so with social buttons on your site and in your email messages. Promote your social media page/profile. Promote your social media activities and integrate your marketing efforts. For example, tell your email subscribers what you’re up to on social media. Create contests, motivate user-generated content, and talk about the benefits of connecting with you on social. Follow and Engage with influencers. In addition to using your Facebook page to like other pages, find and follow influencers on social media. Share their content, when it’s relevant, and comment on their feeds. Finally, #11. Leverage the power of the #hashtag. Tag your posts with keywords so that they’re easier to find by those who are looking for your content. Building a social media audience is a strategic and creative process. Start engaging, creating, and sharing today. These tips will help build your social media audience; a game of both consistency and patience. For more ideas check out The Business Building Bootcamp which is the recording of a 1-day class I taught where we worked on social media and other marketing strategies.